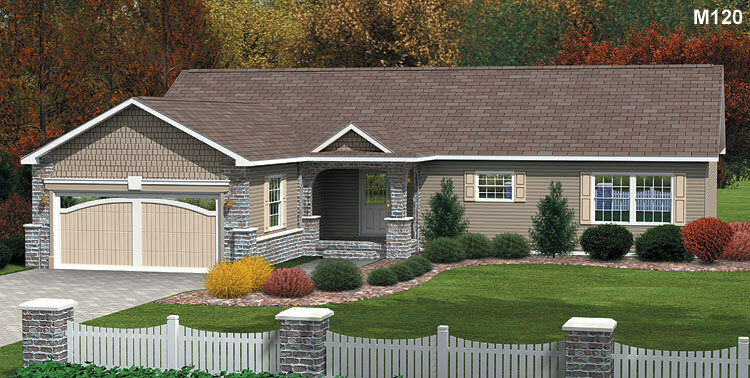 Welcome to Fremont Homes, Inc.
* What we do for you: basements, crawlspaces, wells, septics, excavating, permits, electric, plumbing, HVAC, garages, porches, decks, modular homes, and manufactured homes. Established in 1970, we are proud of the fact that we are a Christian, family owned and operated business that carries only the highest quality modular and manufactured homes on the market. We strive to provide the best prices for both your home choice, and for any on site work necessary to complete your home project. We invite you to come see our brand new, beautifully furnished and decorated display homes here at our sales center in Fremont, Michigan. We proudly service the West Michigan Counties of: Newaygo, Muskegon, Montcalm, Mecosta, Oceana, Osceola, Lake, Mason, Northern Kent, and Northern Ottawa County (M-45 and North) We are confident and proud of our reputation as a new home contractor and encourage you to ask around about us and our quality of work. Please feel free to call and make an appointment to tour our homes today. Ask for owners Scott or Steve. We will make sure that we make ourselves available to give you a personal tour, or if you wish, we will step back and let you tour the homes on your own. Call for an appointment to tour the homes. Right across the street from the Walmart Superstore.